Why is your nose whistling? It’s caused by air moving through a narrow space in your nose – which means, you’ve probably got some junk up there. 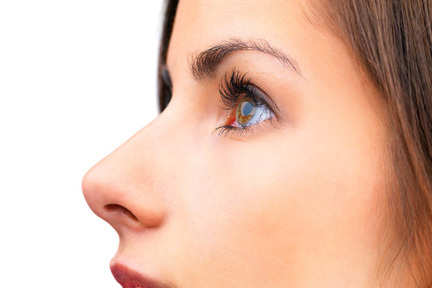 Blowing your nose should help, but if it doesn’t, just wait until your congestion clears, or try a saline nasal rinse. However, see a doctor if the whistling starts immediately after an injury. A right hook to the face, or too much nose picking, can cause a perforated septum… Which is a hole in the wall between your nasal passages — and could possibly require surgery.